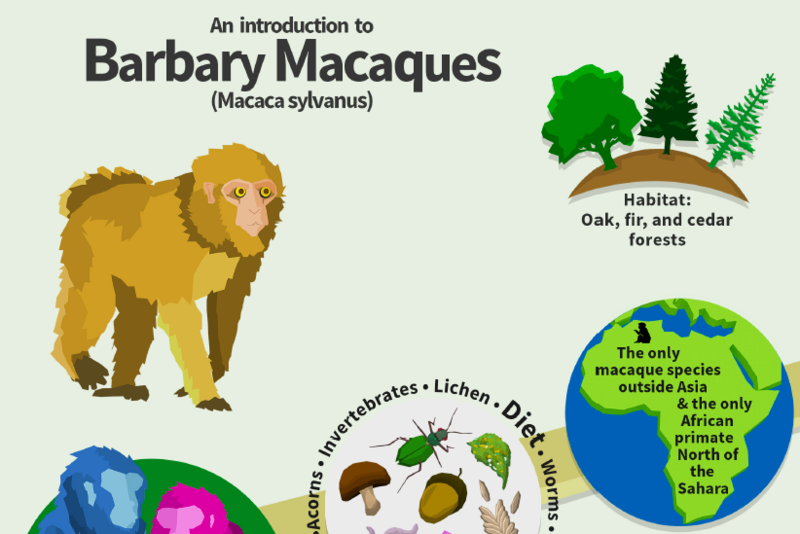 We are really pleased to have some beautiful new infographics about Barbary macaques to share with school pupils in Morocco and all our followers online. You can see them here in English and French. Huge thanks to David Lawes for the wonderful designs, and to People’s Trust for Endangered Species for funding this work.